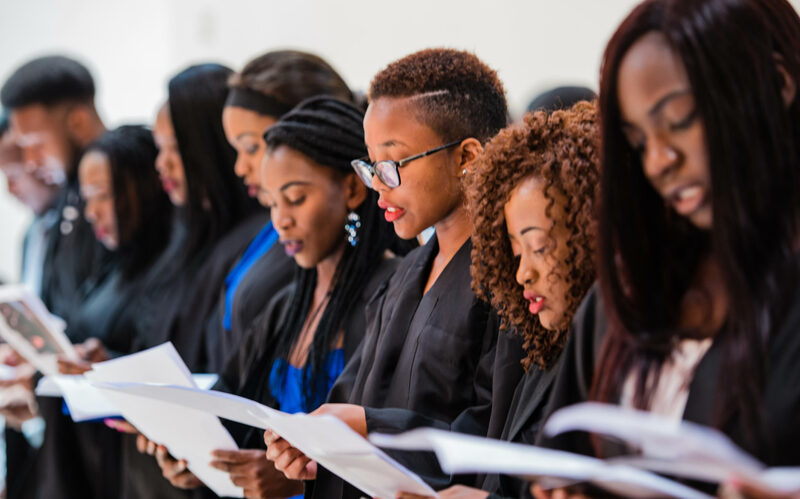 The Matriculation ceremony at Africa University is one in which first year students are officially welcomed and inducted into the world of academia adorned in black academic robes that symbolise the beginning of their exciting educational journey towards graduation. 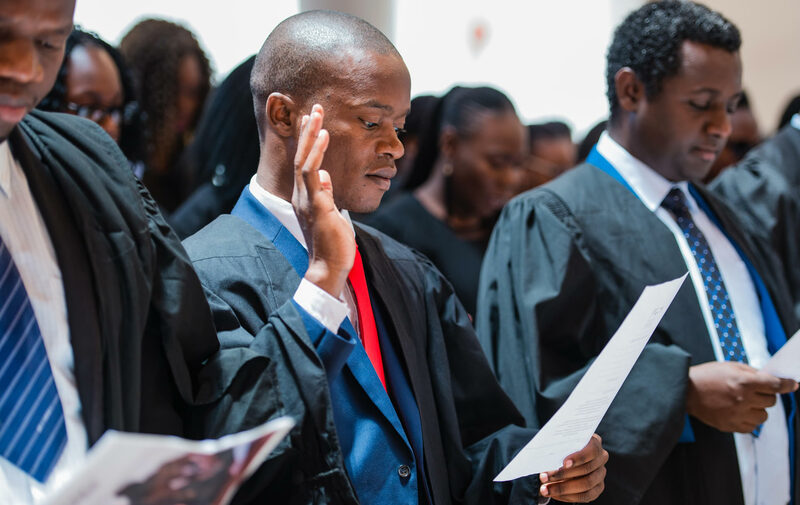 400 students matriculated on the 5th of October 2018 from countries including the Democratic Republic of Congo, Zambia, Malawi, Zimbabwe, Ethiopia, Mozambique, Nigeria, Ghana, Angola and Tanzania joined by students from the Africa University Harare and Mutare City campuses. The ceremony was presided over by Assistant Registrar- Academic Affairs, Mr. Liberty Machona with welcoming speeches delivered by Vice Chancellor Professor Munashe Furusa and SRC President Mr. Brian Sichula, where words of advice and encouragement were given to bestow upon the newcomers as spirit of fortitude in the face of adversity, as well as in- depth insight into the culture of excellence that is Africa University. Mr. Sichula went further to express gratitude to the university for going the extra mile in providing infrastructure upgrades made continuously throughout the university, the purchase of brand new state of the art buses increasing the efficiency of the institutions’ transportation system and the high standards set in response and turnaround times in addressing student concerns staying true to the vision of creating a world class university. Each matriculant is required to make the Matriculation Oath during the ceremony where they, as thousands before them have done, commit to comply by the rules and regulations of the university, conduct themselves with the respect and demeanour befitting a student of Africa University and fully immerse themselves in the rich and colourful culture and traditions of the esteemed institution.